Friendly page URLs, here we come! 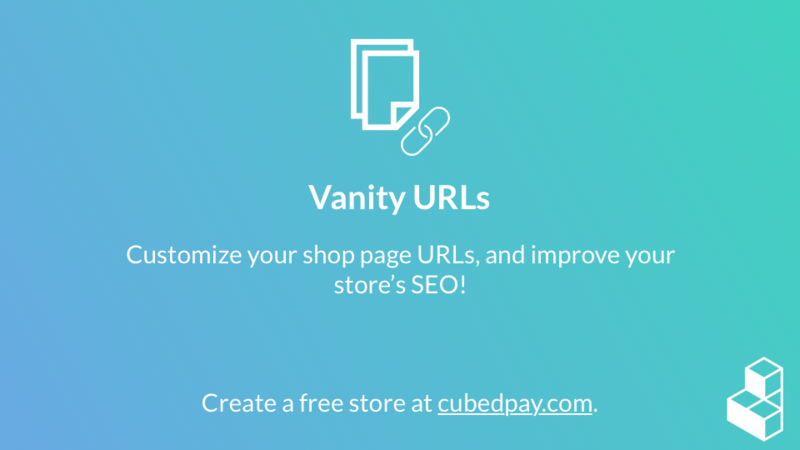 CubedPay pages now support the ability to set a vanity URL. It's super easy to setup! Select an existing page, or create a new one. Enter whatever you like in the new Vanity URL field. That's all there is to it! Your page will now have a much friendlier and much better looking link when used on your webstore.